Good day to you. Welcome to another article on topics that you never thought you’d find interesting until you read them on the Clean Cleaner blog. This time it’s all about soap. We’ll discuss what soap is, how it removes stains from material/you, why you don’t get ill each week, and the contentious topic of antibacterial soap. Making soap is straightforward - mix together an alkali and some fats, and hey presto, you’ve gone and got yourself a date. Water has strong chemical bonds and tends to want to stick to itself. This resultant high surface tension is the reason water can act like concrete when something hits it hard. Soaps are termed surfactants and work by reducing the surface tension between water molecules, allowing them to move about more freely. Water is actually pretty good at dissolving substrates, thus soap simply enhances what water is already trying to do by enabling more molecules to interact with the substance they’re dissolving. At one end, the soap has a head that’s attracted to the water molecule - this is known as the hydrophilic head. The tail of the soap is known as hydrophobic (lipophilic) and is attracted to hydrocarbons which is what the grease and stains in your clothes tend to be. Key points in one sentence: soap reduces water’s surface tension, allowing water molecules to move around more and dissolve substrate in a similar fashion to normal, but more effectively. So, on the surface you’re trying to clean you have your substrate (your stain). Attracted to this stain are the hydrophobic tails which latch on. The heads of the tails are being surrounded by water molecules that are ripping the structure away from the ‘Mother Stain’. The structure is torn away - the underside of the globule of grease that’s been ripped away is then surrounded by more tails of soap creating what are called micelles (imagine the grease is an expensive vase and the soap is like bubble wrap enveloping it). Once all of the original strain has been wrenched from the surface, the mixture is then classed as an emulsion. The emulsion is then washed away leaving your clothes, or body, grease free in a victory for science. Natural soaps are made by with a carboxylate group [the hydrophilic head - the general formula for those interested is M(RCOO)n], however, these don’t work well in hard water containing a lot of magnesium or calcium. There’s no emulsion because the mixture precipitates, meaning a solid forms from the solution and is deposited, actually making the surface you were trying to clean dirtier. Modern day detergents use a sulfonate group instead to avoid any precipitation in hard water. Key points in one sentence: the soap attaches to the stain at one end, the water on the other, and the stain is ripped away from the material to be washed away into oblivion. How does soap keep the beasts at bay? There is some contention as to whether detergents actively kill bacteria or whether it simply washes the microorganisms away. The proposed mechanism by which bacteria are killed is as follows. Bacterial membranes are made up of a phospholipid bilayer - similarly to detergents. The bilayer structure has hydrophilic heads and hydrophobic tails. When soaps and detergents come into contact with the phospholipid bilayer, they solvate the hydrophobic tails and cause a puncture. This destroys the integrity of the membrane and allows water and dissolved molecules to move in and out freely, any specific chemical concentration gradients set up for biochemical processes will be lost. The loss in biochemical functionality means the cell is dead and any virality associated with it is now void too. The hydrophilic heads then bind with water and are then washed away in the cleaning process. The alternative proposed mechanism is no rupturing of the cell membrane. The detergent partially lodges into the membrane which then binds to water and is washed away like normal, virality still a potential threat. Key points in two sentences: soap either essentially dissolves the bilayer membrane causing a puncture and allows the flowing out of bacterial biochemistry and the flowing in of anything small enough to enter - AKA cell death. Or, soap lodges into the bilayer and binds to water which washes the complex away. Does antibacterial soap live up to the hype? 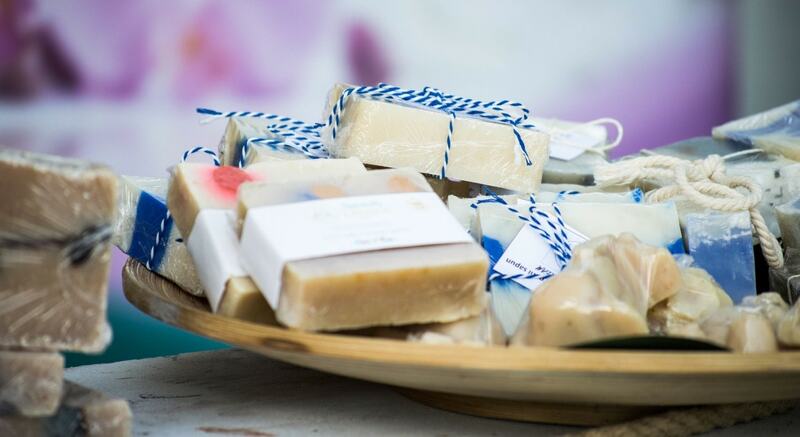 Regardless of the mechanism by which soap helps to prevent infection from the pathogenic hordes, there is no evidence that soap claiming to have special antibacterial properties is more effective than the traditional alternatives. The typical antimicrobial agent used in these soaps is called Triclosan and is a controversial compound. For starters, scientists are concerned over-exposure of triclosan to bacteria will cause widespread resistance. Repeated genetic mutations in the bacterial genes over generations (their generations are fast though, roughly 20 minutes) directly affected by triclosan will yield ever so slightly different protein products which will render triclosan ineffective. Triclosan has been shown to modulate the hormone levels of the female Wister rat. Although this isn’t indicative of any alteration in human hormone levels, it does highlight the possibility. The US Food And Drug Administration suggests concerned consumers should continue using normal soap. More generally speaking, a home or body that’s too sanitised can lead to allergies developing due to a lack of microorganism exposure. The body doesn’t learn how to deal with many critters, even the benign ones, and an exaggerated response results in sneezing, runny nose, or in the most extreme of cases, restriction on airways. This study suggests triclosan concentrations were significantly associated with allergic sensitisation. Triclosan degrades over time into a DNA-harming carcinogen. Why is this bad news? Because Triclosan isn’t dealt with completely in water treatment plants and so it remains in the water and sludge, then spread across our farms. This is then fed back into the water table which we extract our drinking water from - not sure about you but we’d love to have carcinogen-free drinking water please! Key points in one sentence: Triclosan is used in antibacterial soap but hasn’t been proven to be more effective than traditional soaps at preventing infection, with the additional black mark of degrading into a carcinogen. So there we have it folks, the blog post about soap is complete. We hope you’ve enjoyed reading about it. We’ve learnt about surface tension reduction, emulsions, bacterial genocide, and that there are such things as Wister rats. There’s something fascinating about delving into everyday topics and finding the hidden realm information you knew nothing about. Please, give this a share to help us get exposure for our articles, it really helps!